STRONG economic fundamentals and government efforts at market reforms are attracting global investors back to Asian emerging markets, particularly China and India. While India and China – two of the largest markets in Asia – have made much progress in terms of providing market access to global investors, much needs to be done in enhancing their markets. Until recently, these markets have not been readily accessible to foreign investors. The cumbersome quota system in India as well as complex capital controls of China have kept most foreign investors at bay, while Asia remains underrepresented in the global bond indices. But the introduction of investment schemes including the Stock Connect and Bond Connect, as well as India’s move to relax its quota system, have revived excitement in the multi-trillion-dollar financial markets that India and China represent, according to industry experts at The Asset Investor Dialogue in Singapore. “By 2050, China and India will be among the world’s largest markets. China started opening (up its market) in 2003, India started much earlier. 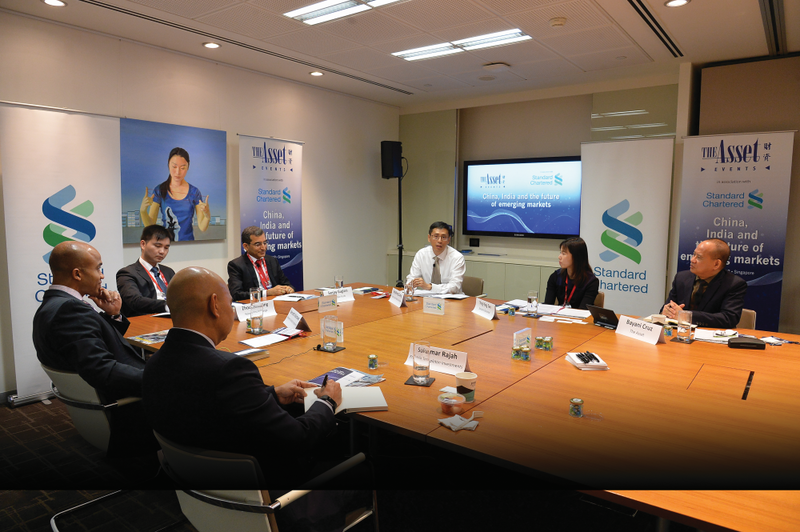 How they will evolve will be keenly watched,” says Tan Ying Ying, managing director at Standard Chartered. Both China and India are expected to have the world’s largest economies with unparalleled growth rates of 6-8% GDP in the coming years. 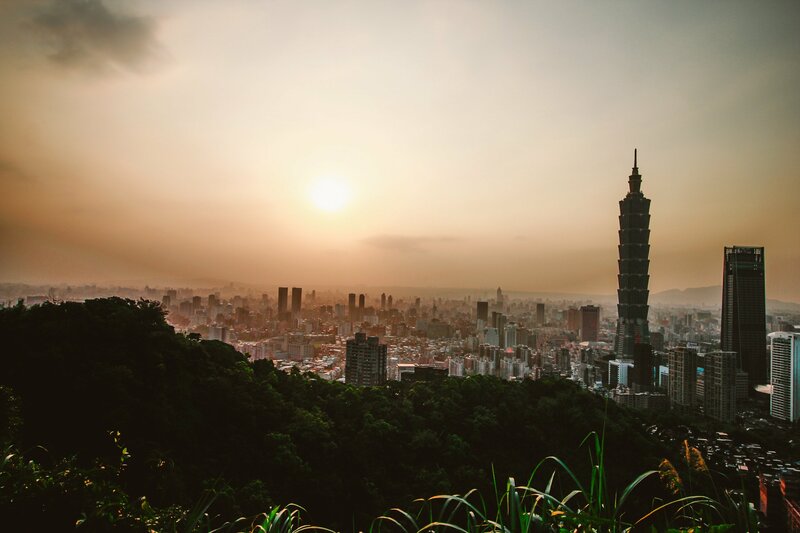 “If you look at these two countries and the growth trend in the rest of the world from a snapshot perspective, these two markets definitely spell a lot of potential for investors,” Tan says. In the equities space, the emerging markets story for global investors has become stronger in recent years with the emergence of China and India as bigger components of the global economy. “Not only are their economies growing but the investible universe is also becoming larger and more attractive. We have thousands of companies listed in both China and India. Some of them are global leaders. In China the e-commerce companies are of global scale and huge in size, and there are other emerging opportunities even within the Asia space,” says Sukumar Rajah, director of portfolio management at Franklin Templeton Emerging Markets Equity. Both China and India are also very diverse markets with varied investment opportunities in financials, technology, pharmaceuticals and other sectors. They both have companies that present huge earnings and growth prospects, as well as value creation opportunities. With the forthcoming inclusion of China in the MSCI index, global investors will have better access to Chinese equities that have been a largely restricted market. “As bottom-up investors with a longer-term investment horizon, we can capitalize on the higher volatility of the market. We also continue to closely monitor further developments in the A-share market, such as the creation of CDR listings, enabling the US Internet ADRs to list in China,” he notes. “These markets are pretty huge. There are a lot of opportunities in the rest of emerging markets as well. So, I think it’s a great story and it’s getting greater by the day,” Rajah says. In the fixed income space, China and India also present good opportunities for global investors in the emerging markets as a result of the strong economic recovery and fundamentals. “We’re coming from a point in 2014 to 2015 which was a pretty brutal time for the emerging markets and emerging market fixed income investors. It’s good to see the global investor base starting to engage far more and understand how allocations into emerging markets bonds can really help their global portfolio allocations,” says Kenneth Akintewe, head of Asian sovereign debt of Aberdeen Standard Investments. In recent years Chinese and Indian regulators have been opening up their domestic markets and providing more access to foreign investors. “Both these markets are starting to open up and it’s providing some pretty interesting opportunities so we’ve been investing in both those markets. I’d say investing in them is getting far easier. It’s great to see the proactivity, particularly in China. We hope to see more of that moving forward,” says Akintewe. Market watchers have observed that China’s efforts to liberalize its domestic bond market – the world’s third largest – have paid off, attracting foreign investors into its debt market. Fundamentals are at play for both China and India. Their debt markets are evolving. “Emerging markets are not only about high yield, but they are also about high-grade bonds. There’s huge scope for bond market development in India. Floating rate, inflation-linked bonds are to be launched there,” says Sanjay Guglani, CIO, Silverdale Funds. Guglani explains that from a foreign investor perspective one of the big issues about investing in India is the risk of rising inflation and the depreciation of the rupee. “Hence, inflation-linked notes will further spur up the market,” he adds. While both China and India used to be peripheral to the global markets, their strong fundamentals, economic recovery and easier access in recent years are making them more mainstream for global investors. “We see the evolution of emerging markets. From peripheral to the mainstream, China and India could expect more money to pour in. China is about quality over growth. Reform is taking place,” says Ng Kheng Siang, Asia Pacific head of fixed income, State Street Global Advisors. But while access to these domestic markets is being relaxed, there are still some challenges, particularly for global investors entering them for the first time. “Bond Connect is about speed, but there are still some issues. Investors in the US and Europe are not familiar with intricacies of access into China. Some of these investors may want to see the settlement of trades in Euroclear in the future,” adds Ng. Zhou Zhaoping, senior vice president, at HKEx says that although there are challenges around the delivery versus payment (DVP) and taxes regarding to Bond Connect, he has seen a growth trend of market demand, and expects further enhancements on this scheme in the near future, adding that regulators could be looking to expand outbound investments measures in the meantime of encouraging capital inflows. “Since the renminbi exchange rate tends to be more stabilized around the level of equilibrium, the PBoC (People’s Bank of China) shall continue to open its financial market by supporting both inbound and outbound investments. We saw a hint the PBoC tried to loosen some new rules to give new quota for investing offshore. And this year we expect to see more channels to invest offshore and more balanced cross-border capital flows,” says Zhou. But optimism in the market remains. “India has strong fundamentals and low volatility and that view is gaining traction and attracting more investors,” says Aberdeen’s Akintewe.